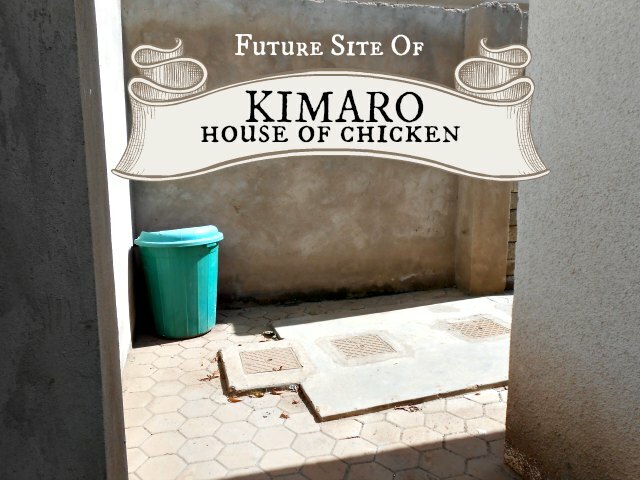 The fundi (workman) comes today to start building our chicken house. We eat a lot of eggs so it makes financial sense to raise our own rather than buying them from someone else. 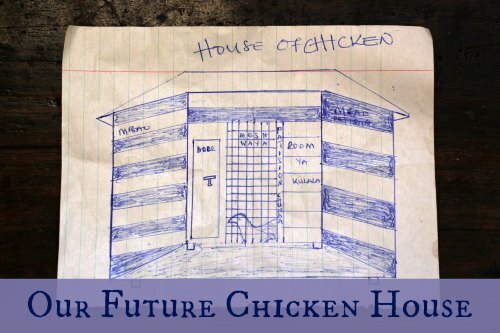 Based on my calculations, the investment of building the chicken house and buying the chickens will pay for itself in 10-12 months. Of course that assumes the chickens stay alive so they can actually produce eggs. There’s two significant threats to that assumption–the cat and the Wonder Twins (remember the chicken chasing incident when we visited our shamba last month). I realize that having only skimmed three eBooks on keeping backyard chickens doesn’t make me an expert, but I had some concerns about his plans. I worried that the chickens would get really hot since there was only wire mesh on a small portion of the front of the house for air circulation. Hot chickens don’t produce many eggs. So I requested a couple of modifications. 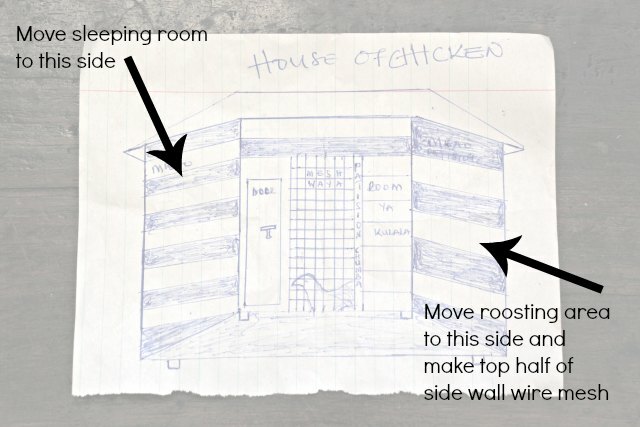 The coop will be situated in the back corner of our compound so the left side and back will be very close to the concrete wall–maybe just a foot or so of clearance to accommodate the overhang of the roof. 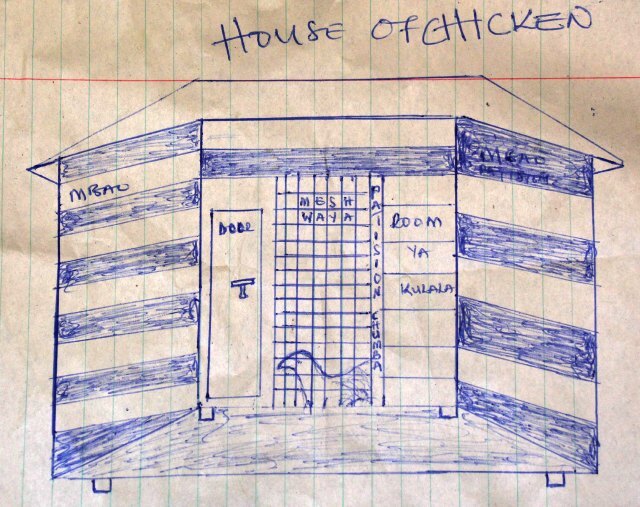 I requested that the “room ya kulala” (the sleeping room) be moved to the left side and the roosting area moved to the right, with additional wire mesh on the upper half of the right wall. The chickens will actually be let out of the coop during the day but I will still feel better knowing they have more fresh air in their house. The fundi estimated three days to finish the coop–he was supposed to start this morning but called to let us know that he was taking his wife to the hospital with pneumonia so it was late afternoon before he arrived with the building materials. I’m not counting on a three-day turnaround, but I told him if he gets the project done on time and I like how it looks, I’ve got some other projects for him, too.